Founded in 1999, ETHOS was the first Hmong enterprise in Vietnam, and has since gained an excellent reputation as the number-one tour provider in the Sapa region. 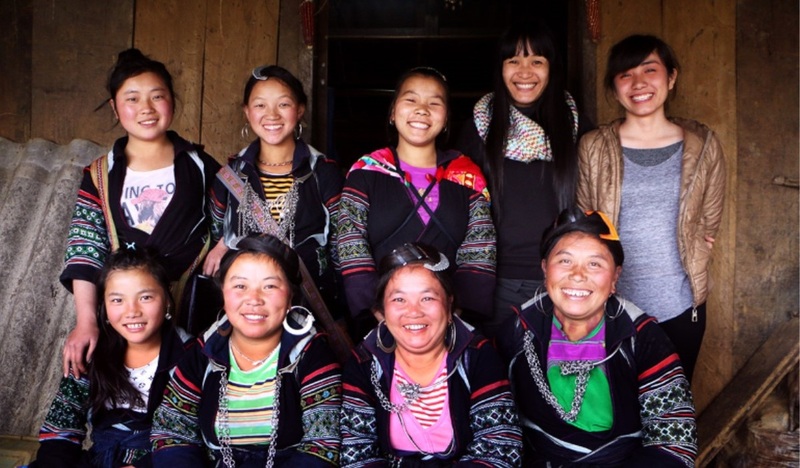 ETHOS combines the local expertise of local hilltribe groups with the acumen of committed Vietnamese and British colleagues. Using local knowledge and a great deal of dedication, ETHOS have successfully worked hard over many years to improve many lives. We would now like to request your help to continue breaking down social barriers and helping our community to develop and grow. Hmong people rely on poor agricultural land which is insufficient to feed the local population. To end the cycle of poverty that exists in the region, ETHOS are keen to use the unique culture and stunning landscapes to promote a system of ethical tourism and income generation opportunities for those without a formal education or literacy. We believe that empowering women is key to ending poverty and hunger. We are committed to striking a balance between the demands of tourism and the needs of the local indigenous people. ETHOS tours facilitate the empowerment of local guides and assist those trapped in a cycle of poverty. It is our goal that ETHOS will grow to be locally managed by people who have been lifted out of poverty and now live safer and more fulfilled lives. In addition to arranging treks, tours and homestays for travellers, ETHOS provide direct and desperately-needed support to marginalised groups via the establishment of locally-owned micro-enterprises. ETHOS also facilitate cultural preservation by encouraging the transmission of traditional arts and crafts, and empower a growing number of local guides and artisans with fair and sustainable incomes. We wish to continue to help in building better communities through education, healthcare and home-improvement projects. In order to keep our highly-successful initiative alive, and to take the final step of becoming a fully-sustainable business, ETHOS now needs your support. Our success is solely reliant on positive reviews. If you could please help us to overcome our marketing challenges by writing a review online, that would really be wonderful. As a small organisation with big ambitions, we are very aware of the power of social media. At present we are an online only travel group and our best outlet for finding other like-minded conscientious travellers is via TripAdvisor, Facebook and by word of mouth. In order to maintain our online profile, it is essential that we continue to receive honest and accurate reviews that detail the types of experiences our visitors have had with us in Sapa. If you find the time to do so, we would appreciate your comments and possibly pictures on our TripAdvisor page.